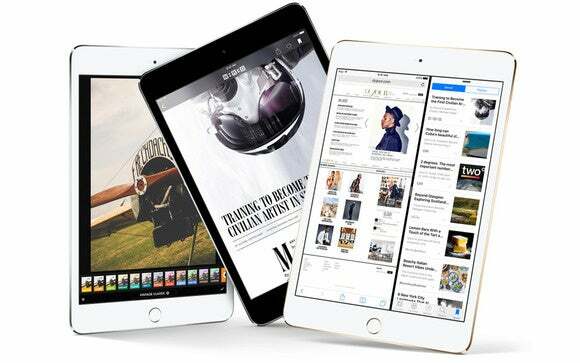 These days, picking an iPad can be tricky, but we can help you figure out which one to buy. So you’re in the market for a new iPad. Excellent choice—we couldn’t live without ours. It’s a great companion when catching up on news and email in the morning over tea, reading a comic book in the evening to unwind, or watching a movie while traveling on a plane. But these days, picking an iPad can be tricky. 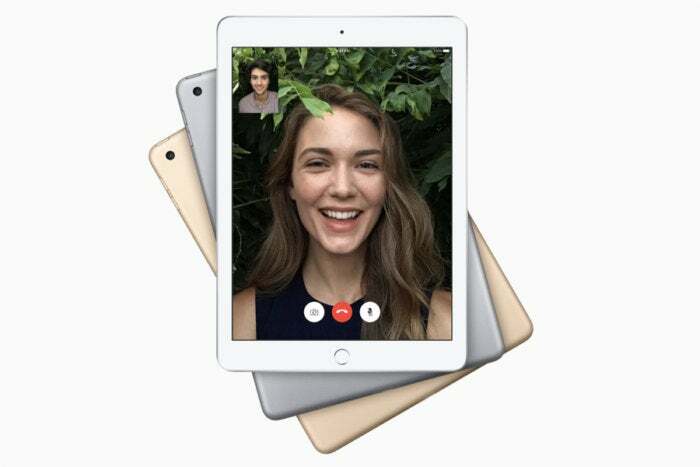 Apple currently sells four different models of iPad, with prices ranging from $329 to $1279. There are size, storage, color, and connectivity options to consider. All in all, there are 60 different variations of iPad from which to choose. So which iPad is right for you? Read on. The iPad Pro models are also the fastest iOS tablets ever and offer many features that aren’t available on any other device. 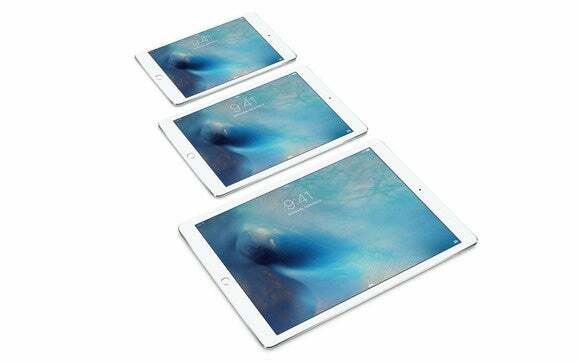 This iPad Pro is definitely the biggest iPad, with a huge 12.9-inch diagonal screen. It’s a bit like someone ripped the screen off of a 13-inch laptop and turned it into an iPad. If you’re an artist who has dreamed of having a larger and more responsive iPad to draw on, the 12.9-inch iPad Pro is a dream come true with its extra large canvas. It’s one of the only iPads to support the $99 Apple Pencil, and while there are other pressure-sensitive iPad styluses on the market, this is the one that’s made by Apple—and that means it’s the best in its class, if for no other reason that it will be deeply integrated into the iPad Pro’s software. In 2017, Apple reduced the latency of the Apple Pencil to 20 milliseconds, making it one of the fastest digital pens out there. Combined with the buttery-smooth 120Hz ProMotion display, there’s no better tablet for getting your doodle on. If you’re someone who does a lot of serious creative work on your iPad, this iPad Pro is made for you, too—its larger screen is perfect for running two apps in Split View. And rather than having to rely on Bluetooth to attach an external keyboard, the new Smart Connector supplies data and power to both Apple’s $169 Smart Keyboard (which doubles as a carrying case) as well as other forthcoming keyboards, including the Logitech Create. But despite its name, the iPad Pro isn’t just a tool for artists and other people wanting a more powerful and expansive iPad to get work done. It’s also a fantastic (albeit pricey) entertainment device, thanks to its stereo speakers and that gorgeous 2732-by-2048-pixel display. For all its size, the iPad Pro doesn’t feel heavy. At 1.6 pounds, it’s about as heavy as the original iPad—but its weight is spread over a much larger area, making it comfortable to hold. Color options: Silver, Gold, Space Gray. Storage options: 64GB ($799), 256GB ($949) or 512GB ($1149). Cellular option: 64GB ($929), 256GB ($1079) or 512GB ($1279). Who it’s for: Artists and creative pros, people who use their iPads to get work done, and anyone who wants a big, bright screen (and good audio) for watching videos. Bigger, faster, and better, the 10.5-inch iPad Pro gets more than enough upgrades to make it to the finish line and garner a perfect score. After releasing the short-lived 9.7-inch iPad Pro, Apple updated the model to be just a tiny bit bigger. Meet the 10.5-inch iPad Pro. Because the bezels have shrunk, this new display is actually 20 percent bigger than its predecessor. However, this iPad Pro is still significantly smaller than its 12.9-inch mega sibling. This makes it a more practical (not to mention, affordable) option, without sacrificing the Pro line’s powerhouse features. Apple has upgraded both iPad Pro models to be identical in terms of internal specs: You’ve got a top-of-the-line A10x fusion chip, 4GB of RAM, and a 12-megapixel rear camera. These models also have a new feature called ProMotion that automatically adjusts the refresh rate depending on what you’re doing (up to 120Hz—twice as fast as other phones and tablets!) to produce a more responsive display or to conserve energy. The 10.5-inch iPad Pro can be hooked up to a Smart Keyboard and be used with Apple Pencil. So you get the best of both worlds: the power of an iPad Pro with the portability of an iPad Air. Besides the size, the other major difference between the 12.9-inch iPad Pro and this model is the price tag. If you are not looking to spend at least $800 for an iPad, this model starts at an more-reasonable $649. Oh, and another major selling point for the 10.5-inch iPad Pro is that it’s the only iPad that comes in Rose Gold. But you wouldn’t base your buying decision solely on that, would you? If you want Pro features and Smart Accessories but in a more portable size and with a friendlier price tag, it doesn’t get any better than the 10.5-inch iPad Pro. Color options: Silver, Gold, Space Gray, Rose Gold. Storage options: 64GB ($649), 256GB ($799), or 512GB ($999). Cellular option: 64GB ($779), 256GB ($929), or 512GB ($1179). Who it’s for: People who want to be productive on a machine that weighs no more than a pound. People who need Pro features but are not thrilled by a higher price tag. 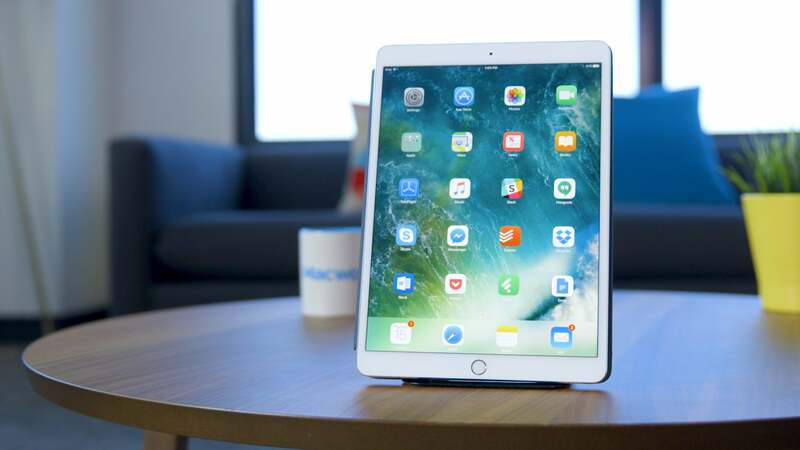 If you don't need all the iPad Pro features or you just want to spend a lot less, this iPad is a great choice. When it came to updating iPad Air 2, Apple decided to drop the Air and keep it simple. The new 2017 iPad still delivers. It’s 25 percent brighter than its predecessor and is powered by the A9 chip that’s bound to support future iOS updates for a few more years. So if you’re not looking for a MacBook replacement, but simply want an iPad that can do “iPad things,” the answer doesn’t get any simpler than this. The 2017 iPad proves that not every tablet should aim to be as powerful as a MacBook. Sometimes you just need an iPad to be a really good iPad. With its 9.7-inch display, this model is perfect if you just need an iPad for reading ebooks or magazines, watching movies, and casually browsing the web. This is the iPad that can live in the kitchen, and the one the whole family uses to answer FaceTime calls from grandma. It can also be great as a HomeKit hub for all your connected devices. Now that the iPad mini 4 only comes with 128 GB for $399, the 2017 iPad is actually the cheapest one you can get. The starting model is $329 for 32GB. That means that for you can even get a cellular model that’s still cheaper than the starting 10.5-inch iPad Pro. So if your kids want an iPad for playing games, this one is the one to go for. The 2017 iPad is for doing just “iPad things,” but it does them very well. Storage options: 32GB ($329) or 128GB ($429). Cellular option: 32GB ($459) or 128GB ($559). Who it’s for: For families, for kids. It can the iPad you use to control your HomeKit-enabled devices, or the iPad you whisk away with you on a long flight. The iPad mini 4 is great if the 9.7-inch iPad is a little too big for your hands. Apple pretty much took 2014 off when it came to the iPad mini, adding a Touch ID sensor (and very little else) to the iPad mini 3. But 2015 was very, very good to fans of the smallest iPad. 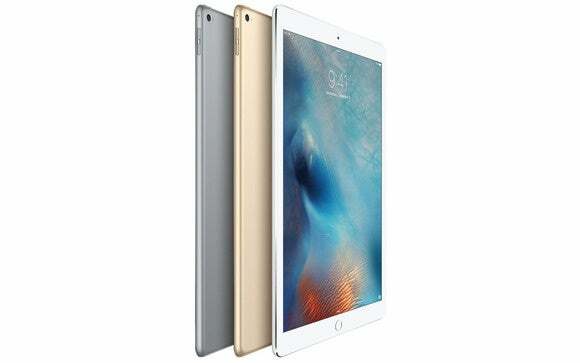 The iPad mini 4 is powered by a still very capable A8 processor and has 2GB of RAM, making it almost—but not quite—the match of its big brother, the iPad Air 2. The Air 2 is a little bit faster, but only by a hair. And the iPad mini 4 has access to all the advanced features of iOS that its predecessors didn’t have, including Split View multitasking. The iPad mini 4’s screen is also to die for. The Retina display is laminated directly to the glass, reducing reflection and making you feel like the pixels are right underneath your fingers. The 2048-by-1536-pixel resolution is the same as the iPad Air 2—the only difference is that all 3.1 million pixels are packed into a 7.9-inch diagonal screen, as opposed to the Air’s 9.7-inch diagonal. But making the trade-off that favors smaller size is what the iPad mini line has always been about. It’s a pretty great size, at 8 inches tall by 5.3 inches wide, two-thirds of a pound. There’s no denying that the iPad mini line is starting to age, but the A8 processor is still plenty fast and should receive iOS update for a couple more years. If you want the smallest screen with the most power, though, the iPad mini 4 delivers. Who it’s for: It’s the perfect device for someone who wants it all, but wants to keep it small. 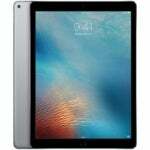 Click to the next page to see information on iPad accessories.